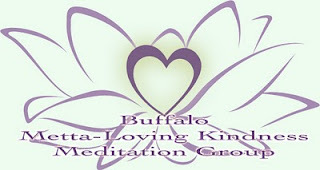 Just got word that I have been given a space to start a meditation group on Wednesday nights here in Western New York! I am so happy! They are giving us an incredible room! The group will focus on Metta: compassion and loving kindness. The world sure could use some of that! How wonderful! The group is called The Buffalo Metta-Loving Kindness Meditation Group. It will start in a couple weeks...I’ll post more details soon!